1 WINE NOT? 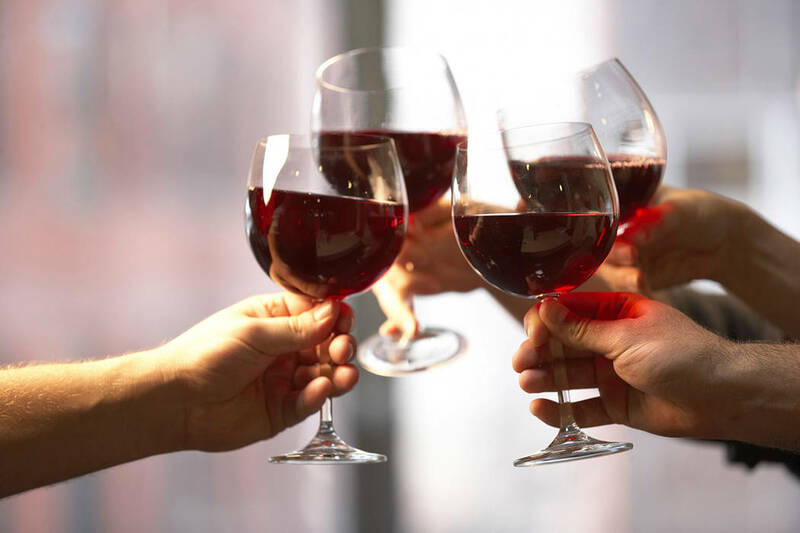 : After a summer hiatus, the Best Dam Wine Walk returns to downtown from 4-8 p.m. Saturday. “Masquerade” is the theme of this month’s event; mask judging will take place by Boulder Dam Brewing Co. in Hotel Plaza. There will be more than 20 participating locations. Tickets are $25 per person or $45 per couple. Check in is at Grace Christian Academy, 512 California Ave., and continues through 6:30 p.m. Details available at http://bit.ly/2w8fKHZ. 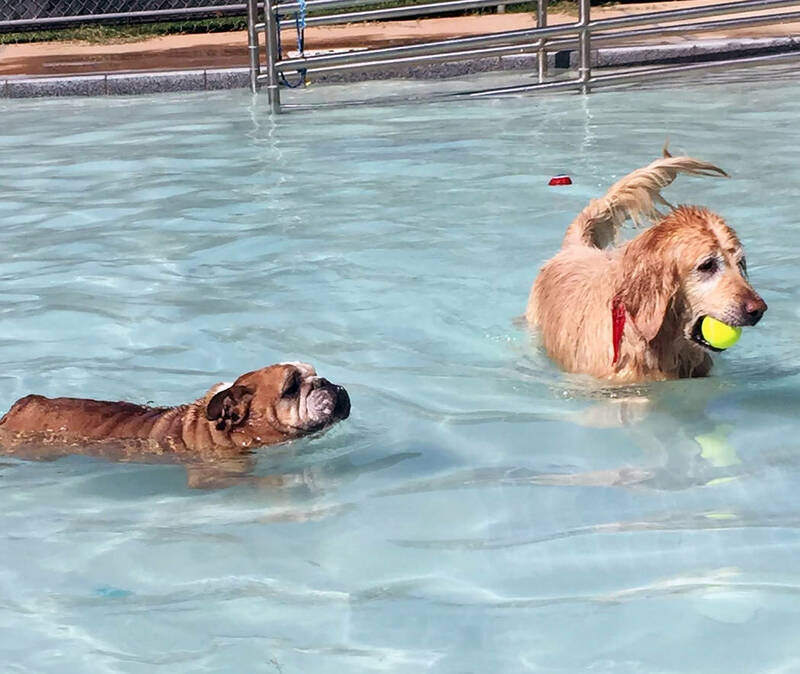 File Canines will get a chance to swim in the Boulder City Pool on Saturday during the annual Soggy Doggy pool pawty before the facility closes for cleaning and installation of the bubble. 2 ARTFUL EXPRESSION: Artist Linda Shaffer will be the guest of honor at a reception from 1-3 p.m. Saturday in the Boulder City Art Guild’s gallery. A collection of her prints and jewelry inspired by nature and her travels are being featured throughout September in the gallery inside Boulder Dam Hotel, 1305 Arizona St.
3 ALL ‘FUR’ FUN: Boulder City Pool will host is annual Soggy Doggy pool pawty for local canines. Locals are invited to bring their dogs for some swim time and doggone fun Saturday from 9 a.m. to noon. There will be two sessions, from 9-10:25 a.m. and 10:35 a.m. to noon. Cost is $6 per dog. The pool complex is at 861 Avenue B. Call 702-293-9286 for more information.